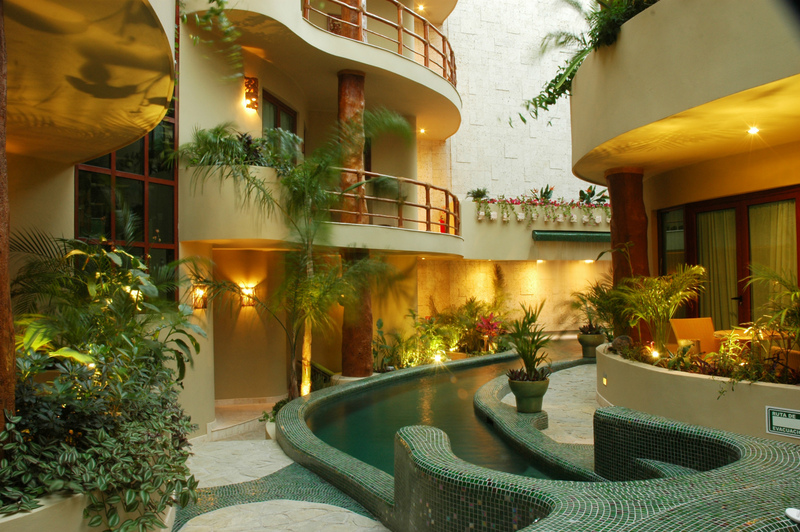 Escape to Maya Villa Condos in Playa del Carmen and pamper your senses with a stay in a beautiful condo hotel set right in the heart of Playa's tourist district. Located just one block away from the stunning blue hues of the Caribbean Sea lie the fabulous property known as Maya Villa. These chic Playa del Carmen condo hotels are the dream solution for those wanting the comfort of a hotel and the privacy of a home. These two bed/two bath beauties are arranged using contemporary decor, elegant colors, and state-of-the-art appliances. Each unit has one king size bed and two individual beds in the second room. And for those looking to explore the vibrant downtown area of Playa del Carmen accompanying Fifth Avenue, you'll be just one block away from the main strip of restaurants, store and bars.